With women wrestling at its strongest ever in the WWE, there are lots more female wrestlers competing to revolutionise women wrestling. There are a lot more instances where women are actually stealing the show such as Sasha Banks and Bayley at NXT Takeover: Brooklyn and recently, numerous matches between Sasha Banks and Charlotte Flair. So with this in mind, I thought it would be a good idea to explore the strongest women to step foot in a WWE ring but first, I would like to give honourable mentions to those who did not quite make the list but deserved a shout out: Natalya, Dana Brooke, Jazz, Victoria, Jacqueline and Tamina. Being from the Anoaʻi family pretty much makes this candidate strong right? 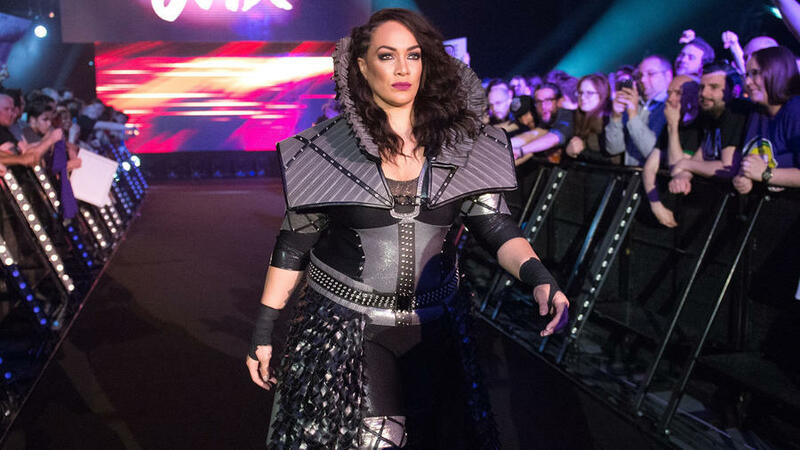 Cousin of The Rock, Nia Jax is a dominant and destructive woman wrestler who will destroy anyone that steps in her path. In fact, as a child, she was kicked out of activities like karate, kickboxing and judo because someone always ended up getting hurt at her hands. Billed at 6ft and 240lbs (109kg), Nia Jax has been dominating her competition since her debut, squeezing the air out of her opponents with a crushing bear hug before viciously slamming them into the mat to earn the victory. Even in the WWE Performance Center, she has been blowing away competition as she has claimed all of the female’s lifting records. Billed at 5ft 7 and 150lbs (68kg), Beth Phoenix isn’t the biggest wrestler in the list, but pound for pound, she is very strong for what she weighs! The former WWE Divas Champion and 3 time WWE Women’s Champion, dominated the women’s division with her impressive strength. But she didn’t compete just against women, she actually competed with the men as well, facing the likes of Santino Marella who she actually beat and eliminating The Great Khali during the Royal Rumble in 2010. Yes, she actually eliminated The Great Khali over the top rope and was the second Diva to enter a Royal Rumble match. Who could forget her 2008 Judgement Day match between herself, Melina and the then current Women’s Champion, Mickie James, where Beth Phoenix actually lifted both Melina and Mickie over her shoulder at the same time! With her impressive military presses and “Glam Slams” to numerous women wrestlers, it is no argument to why she deserves a place on this list. This bad tempered catastrophic nightmare is something all the ladies in the locker-room feared. 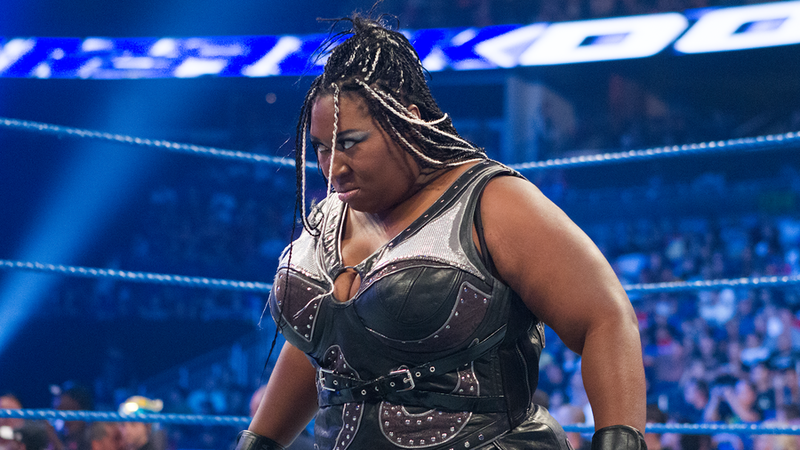 Billed at nearly 6ft and 272lbs (123kg), Kharma decimated all the opposition she was faced with. Kharma made her startling debut at the Extreme Rules pay-per-view, and left Michelle McCool as battered and broken as Kharma’s creepy collection of dismembered dollies. After being told that she was “too fat” in a Tough Enough audition, she gained experience, training in the dojo of joshi puroresu (female Japanese wrestling) and mixed martial arts. And more notably, she made a surprise appearance in the 2012 Royal Rumble match. She intimidated Michael Cole into eliminating himself before eliminating Hunico only to be thrown out by Dolph Ziggler. But that was not before Kharma performed an implant buster on Ziggler. 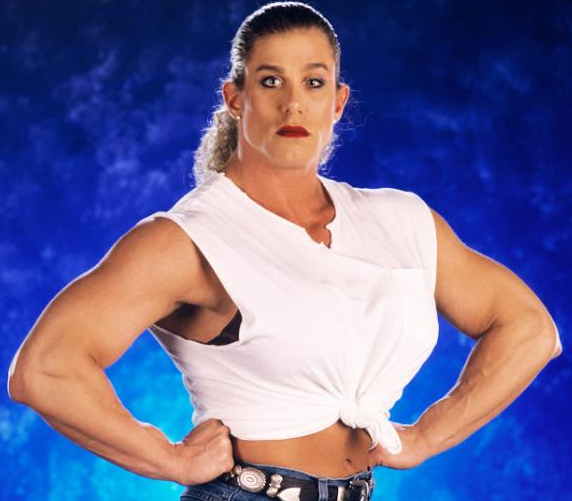 Some of you may not have heard of her, or maybe can’t quite remember but Nicole Bass was one big tough lady. Billed at 6ft 2 and 240 (110kg) of muscle by the way, she was a terrifying sight in the eyes of every woman wrestler. The former bodybuilder began her debut at Extreme Championship Wrestling during the first half of 1998. She aligned herself with Justin Credible, Chastity and Jason. She participated in feuds with Tommy Dreamer, Mikey Whipwreck and Beulah McGillicutty. However, when she made her move to the WWF, she debuted as Sable’s bodyguard at Wrestlemania XV. She became involved in an extended feud with Debra, which culminated in a mixed tag match pitting Bass and Val Venis against Jeff Jarrett and Debra at the 1999 WWF Over the Edge. Bass was then aligned with Venis until she accidentally whacked him with Jarrett’s guitar after losing a bikini contest to Debra. Nicknamed “The Ninth Wonder of the World,” Chyna was one of – if not the most dominant female competitor to ever step foot in a WWE ring. Billed at 6ft and 180lbs (82kg), Chyna was very strong and was not afraid to fight even the male wrestlers, with the likes of Chris Jericho, Triple H, Dean Malenko and Eddie Guerrero. In fact, she was the first woman to qualify for the King of the Ring Tournament and the Royal Rumble Match, accomplishing the latter feat in both 1999 and 2000. She was also the first woman to hold the Intercontinental Championship, which she also achieved on two separate occasions. She was also an original member of D-Generation X, serving as the intimidating bodyguard to both Triple H and Shawn Michaels. Chyna left what WWE called “a lasting legacy as the most dominant female competitor of all time”.